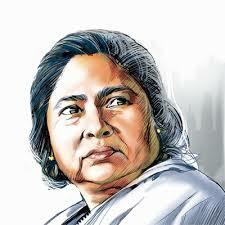 Mamata: Indian politics has never been so dirty! New Delhi: The National Register of Citizens, applicable to Assam, which, in its first draft, has left out over 40 lakh people, has become a major challenge, echoing across the country. Bengal chief Minister Mamata Banerjee on Wednesday (Augist 1) called the BJP the biggest infiltrator in the country for dictating what people should eat, wear and read as the two parties sparred inside and outside Parliament over the National Register of Citizens (NRC) and state-level politics. “Who is an infiltrator? Those who tell us what to eat or not to eat. Who can be a bigger infiltrator than that? They tell us what we should eat, what we should wear, what we should read. They control the media, indulge in judicial interference, break political parties. Never seen anything like this before; Indian politics has never been so dirty,” Mamata said at the Trinamul Congress office in Parliament House. She was responding to a question on BJP president Amit Shah describing the NRC as a way to check Bangladeshi infiltration and his demand that the Opposition make its stand clear on infiltrators. Between meeting various leaders of the Opposition and some members of the BJP – veteran L. K. Advani and expelled MP Kirti Azad – Mamata kept up her tirade against the ruling party for keeping over 40 lakh people out of the NRC in Assam and speaking with a forked tongue on the fallout. “Home minister Rajnath Singh says no one will be harassed but people from his party are saying ‘throw them out’. Why this double face? What kind of language are they using against our own people?” the chief minister asked.